This is a simple, one-bowl avocado mint cookie recipe. 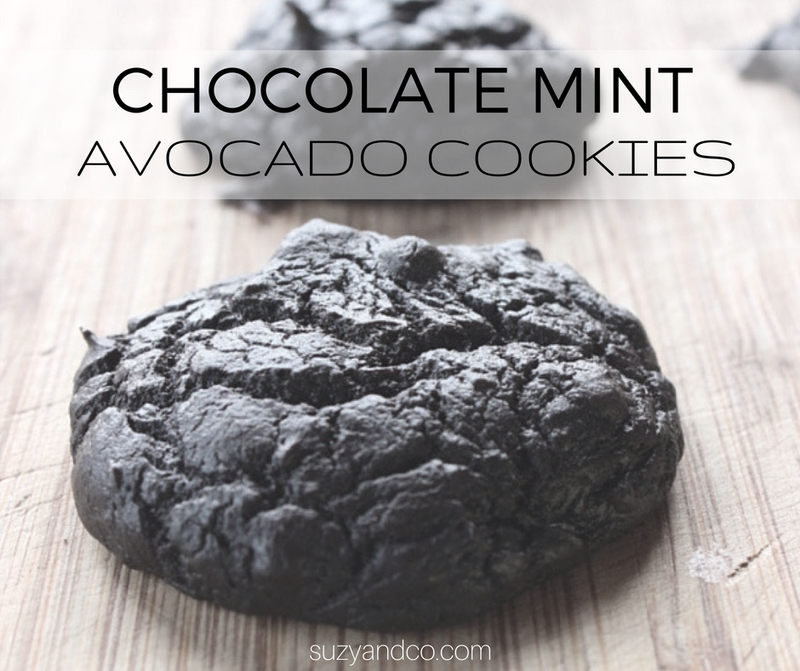 And before you crinkle your nose at the thought of avocado in a cookie, believe me, you don't taste it. I have made these several times and have not been disappointed. However, I did have a batch that did not turn out. I was trying to figure out why and finally figured out that this does not work with frozen avocados. I really wish it did. So I am still on a quest for a recipe using up frozen avocados. When I find one I will let you know. Blend all ingredients except baking soda in a mixer until very smooth. Mix in baking soda. Place about a tablespoon of batter for each cookie on a cookie sheet. Bake at 350 for ~10-12 minutes. *Coconut sugar is lower on the glycemic index vs regular sugar. I have also used stevia as a sweetener in this recipe, although it had an aftertaste so we really didn't like it. **I only trust Young Living brand essential oils from ingestion.